The Olukoya Boys got a 2-0 home win against Bendel Insurance at the Agege Stadium in Lagos over the weekend. Mountain of Fire and Miracles Ministries FC have opened a five-point gap at the summit of the table in Pool A of the NPFL. 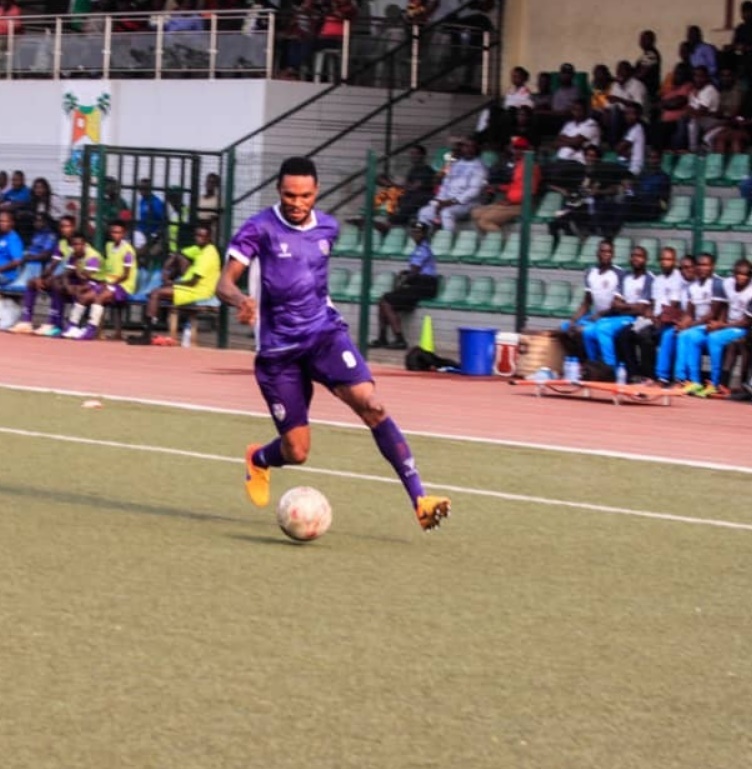 While many would think that it will be celebration galore, MFM striker, Michael Ohanu has expressed unhappiness despite his team's victory. Abisoye Olawale and Ohanu got the goals as MFM maintained their perfect home record this season. Ohanu disclosed in an interview to MFM FC Media after his team’s sixth home win of the season that he is not excited because his team played poorly but promised a better outing in MFM FC's subsequent league games. “Honestly, I am not really happy because we didn’t play the way we wanted to play. The first half was not good but I think we played better in the second half. “You know sometimes in football things don’t usually go as expected but at the same time we thank God for the three points which is more important and I believe we get better in our subsequent league matches,” he stated. MFM are still sitting comfortably on the Group A table of the NPFL with 21 points from ten league games.